Steve has founded, managed or financed over 40 companies in life sciences and IT globally. He recently founded Pangea University for the Health Sciences, an international platform for medical, nursing and health technology education for the emerging and frontier markets. Steve is Senior Fellow, Health Care Management and Lecturer, Entrepreneurship at the Wharton School. During his 24 years teaching at Wharton and other business schools, he has created over a dozen courses that he has taught to nearly 11,000 students. His research focuses on international development and healthcare and biotechnology capacity development in emerging economies, as well as business model innovation in biotechnology. He has published articles in Nature Biotechnology, the New England Journal of Medicine, the Journal of Commercial Biotechnology and has authored numerous book chapters on healthcare and biotechnology. Steve puts the findings of his research into practice through the International Institute for Biotechnology Entrepreneurship, an organization which he founded and manages, that has offered over 50 intensive training programs in 14 countries to over 2000 entrepreneurs. He is visiting faculty and coordinator of the Indian School of Business healthcare program and visiting faculty at the Strathmore Business School in Nairobi where he founded the first Healthcare Management MBA program on the African continent, as well as founding the African Institute for Healthcare Management, an organization focused on developing faculty and teaching materials to advance health services. He is currently developing a School of Global Public Health at Strathmore University. His board memberships include the Foundation for Cancer Research in Moscow, HealthRight International, Center for Medicine in the Public Interest, BioEthics International, the Agora Partnership and Pandorum Biotechnology. He is a member of the Advisory Panel at the Abraaj Africa Health Fund and numerous companies in the United States and India. He is also Senior Advisor to the Excelsior Group in Nairobi, a healthcare consultancy. 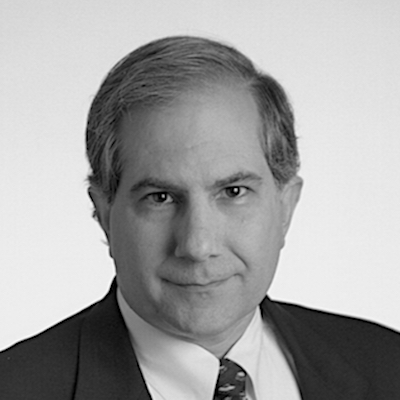 Steve was a Venture Partner at Burrill & Company until 2008. He consults for the IFC/World Bank on PE/VC and technology transfer. Earlier he was VP, SR One, the venture capital arm of GSK, and VP for Development and Private Equity at Teleflex Incorporated. He has also been Managing Director of Technology Transfer at the University of Pennsylvania and Thomas Jefferson University. He began his career as co-founder and CEO of the Philadelphia transplant organ bank. He holds graduate and undergraduate degrees from Villanova and an MBA from the Wharton School of the University of Pennsylvania. He is a Doctoral Candidate at the Fox School of Business at Temple University.